Dan has a Black Sabbath Special, looking back at the career of the heavy metal pioneers and chatting to people that they influenced. 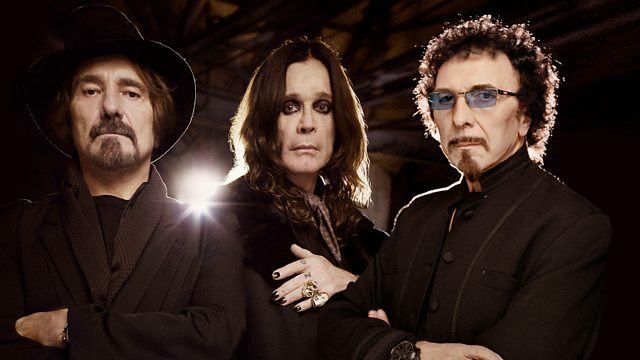 Dan has a BLACK SABBATH SPECIAL, looking back at the career of the heavy metal pioneers and chatting to people they've influenced. Expect to hear from Corey Taylor from Slipknot, Scott Ian from Anthrax, Bill and Brann from Mastodon and Liam from Cancer Bats. Plus exclusive music from The One Hundred and Blood Youth. Mr. Big Time's Jam Factory. Death Touches Us, From The Moment We Begin To Love. Holy Roar Records / No Sleep Records & FITA Records. BMG Rights Management (US) LLC. A Place Where There's No More Pain. Sabbath On The Sabbath - A Black Sabbath Special! Loma Vista / Rise Above Records / Spinefarm Records.